TOGAF is one of the most popular EA frameworks today and many organizations consider it to be the de facto standard. In this webinar, renowned EA Specialist Juha Mylläri, will look at how LeanIX can be used to support Enterprise Architecture Management with TOGAF. TOGAF provides a toolkit of best practices, processes, principles, rules, guidelines and techniques for Enterprise Architects but you should still apply the framework in a pragmatic way that creates value for your business. As of 2016, the Open Group reports that TOGAF is employed by 80% of Global 50 companies and 60% of Fortune 500 companies. Yet research shows that often TOGAF recommendations are found to be inapplicable and/or difficult to implement. 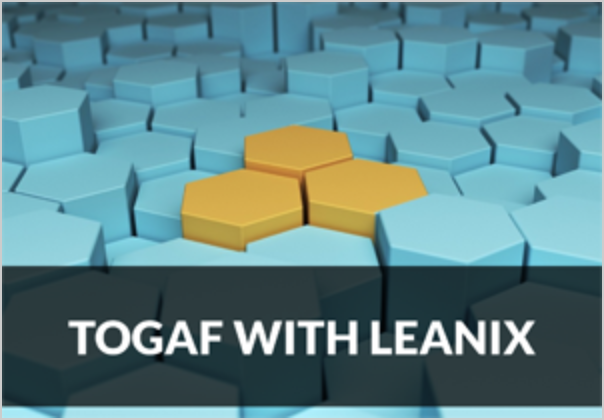 How to document your IT architecture in LeanIX if your organization uses TOGAF. The advantages and challenges of applying the TOGAF framework and where it reaches its limits. How a pragmatic and agile approach to TOGAF can achieve value for your business.